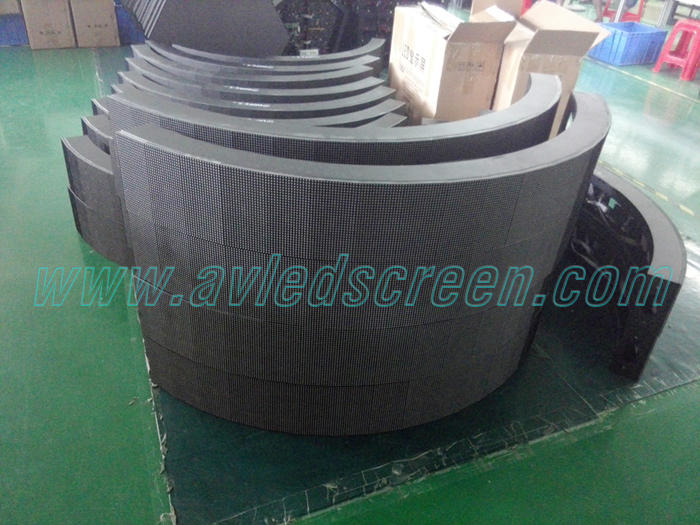 Cylinder shape led display, also called 360 degree led display. which is a circle shape either can be hanged up on the ceiling or wrap around the column/pilars. 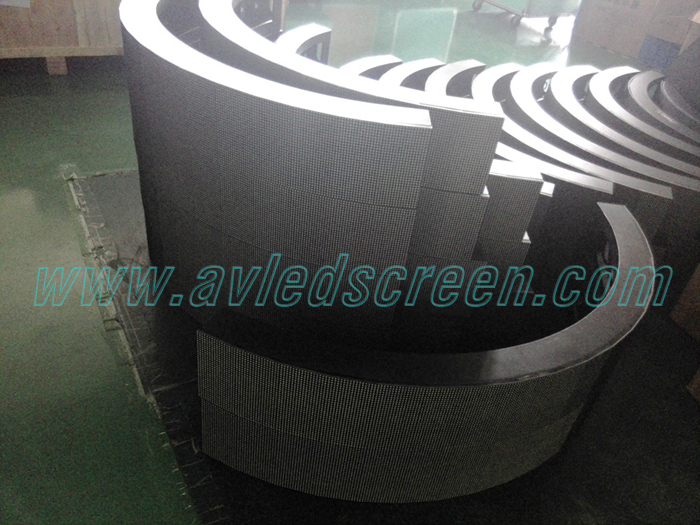 To make a cylinder shape led display, the key is to make it the surface smooth and seamless. Because common suqare shape led modules are big, when form a circle, say 1m diameter, it will have evident gaps between the led modules. Because a circle can be divided into many small segments, the smaller or narrower the led module is, the smoother surface. 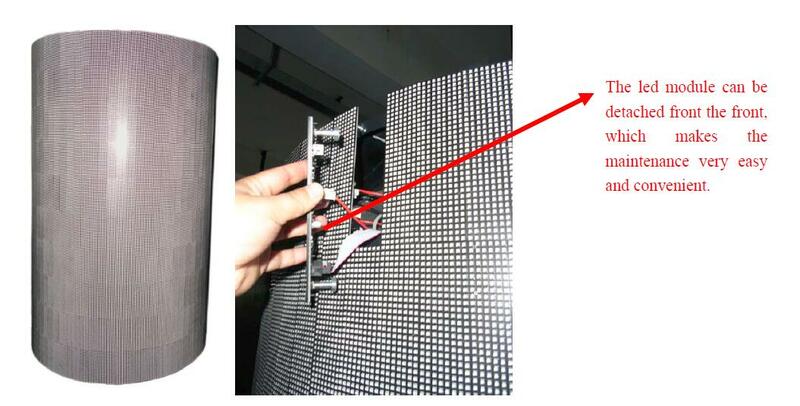 According to this theory, Visualpower designed narrow modules or mini led modules which are specially used for such designs. 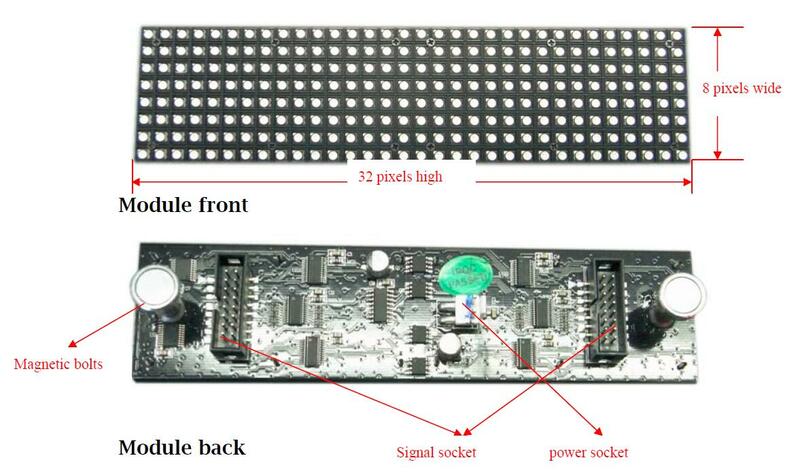 each narrow led module has two magnet bolts which can stick to the back side frame. this allows it to do front maintenance, especially when there is limited space behind such as using the circle led display to wrap around the columns.